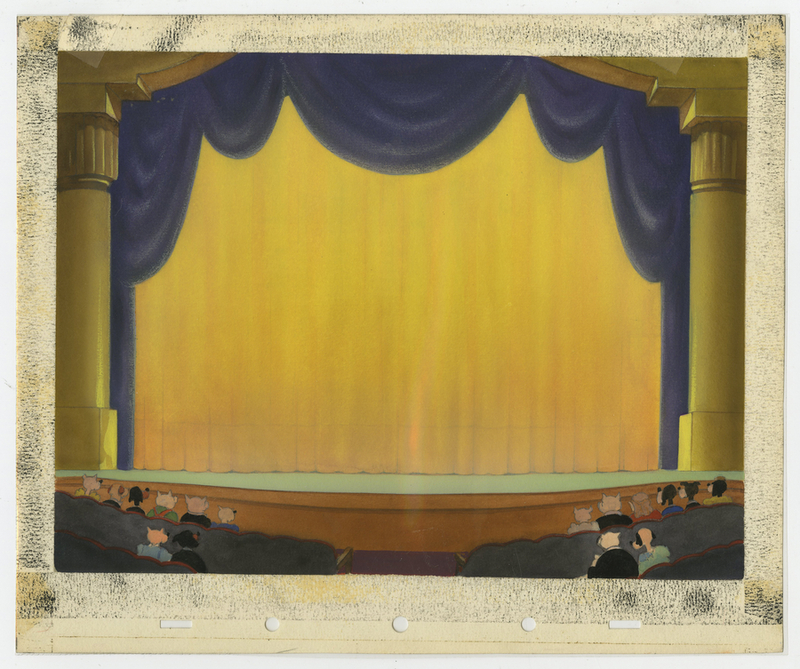 This is an original production background from the Walt Disney Studios production of Symphony Hour (1942). 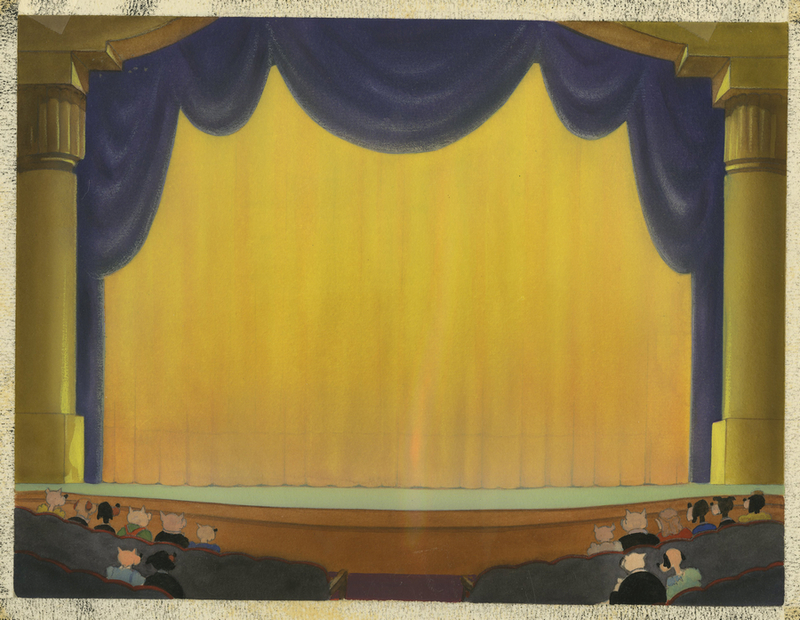 This hand-painted background features a luxurious theatre stage with the curtains drawn, and was created at the studio and used during the production of the Mickey Mouse musical short. Each scene in an animated film will have only one background, making them more rare and hard to find. 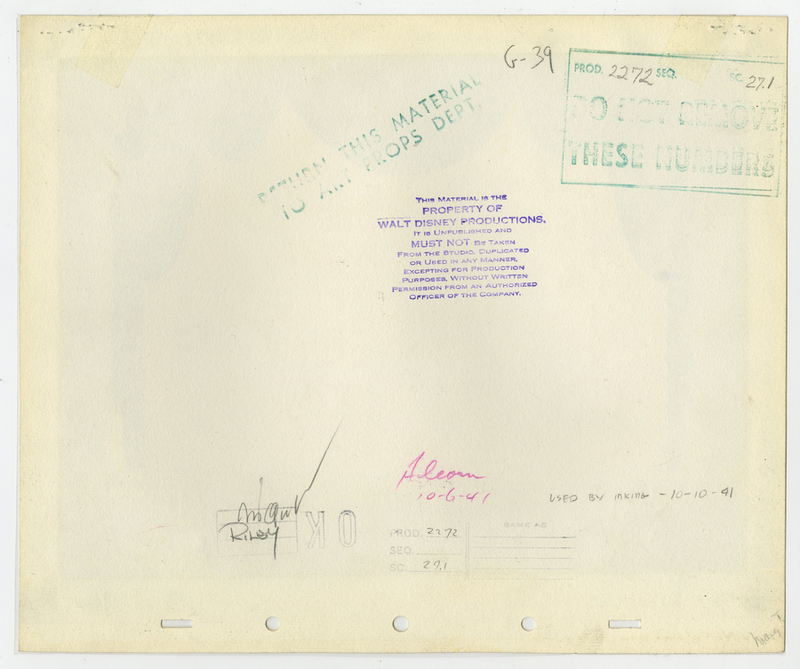 The overall measurements of the piece are 10" x 12" and the image itself measures 8" x 10.5". The background is in great condition.